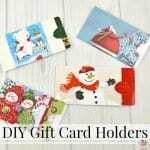 Make your own DIY gift card holders from recycled Christmas cards. 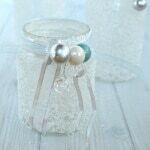 They’re easy to make, frugal, earth-friendly and adorable. 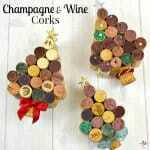 These champagne & wine corks craft Christmas tree is easy to make and is an adorable Christmas decoration & gift. 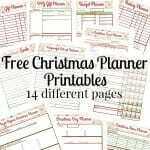 Use these 14 pages of free Christmas Planner printables to get organized for the holidays. 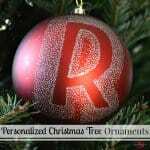 Focus on what’s really important, save money and reduce stress. 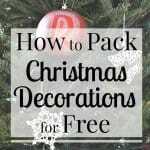 Learn how to pack Christmas decorations for free and protect your treasured ornaments and decorations when they’re packed and stored away. 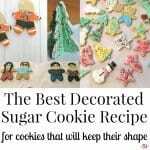 This really is the best decorated sugar cookie recipe for cut-out and decorated holiday cookies or cookies for any occasion. 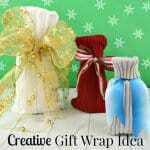 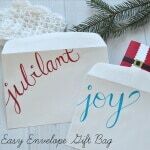 Make a cozy, warm creative gift wrap idea for a reusable, earth-friendly gift bag that makes gifts an extra special surprise. 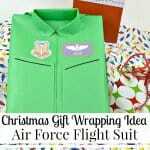 A creative gift wrapping idea of making an Air Force Flight suit is perfect for a fun Christmas gift wrapping idea or for any occasion.